George & Bo. Bob Uecker. Kurt Suzuki. A-rod and Cora. Stan Musial. | ninety feet of perfection. Not too much to say about this photo besides the fact that it rules. 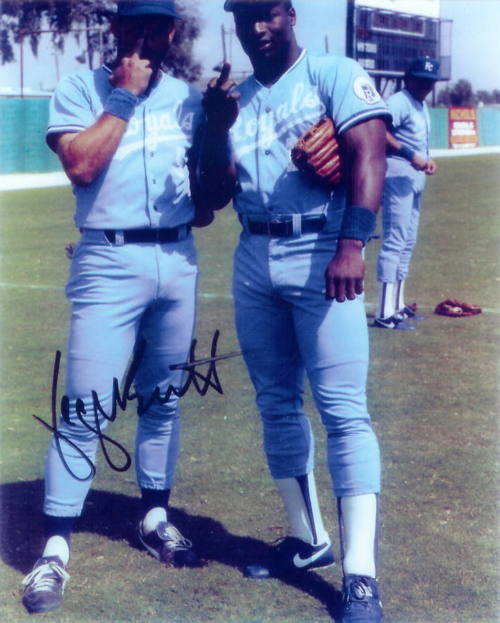 George Brett and Bo Jackson giving the ole 1 finger salute during Spring Training of 1989. As far as I’m concerned this photo should be up on a wall in Cooperstown. Re-blogged from Old Time Family Baseball via FanGraphs. 1990. 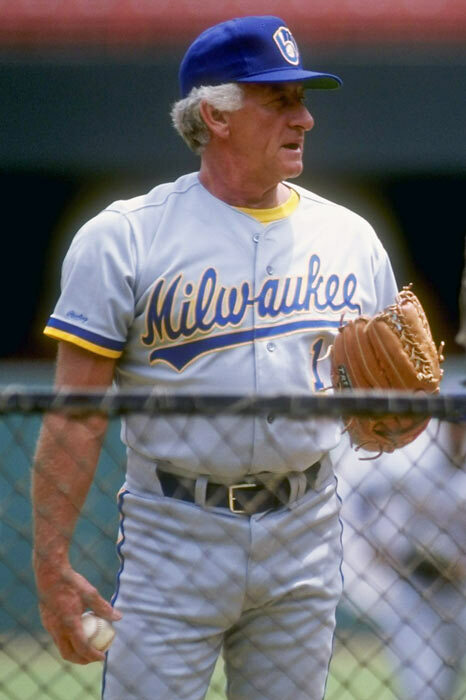 A 55 year old Bob Uecker in a Brewers uniform. While Uecker never played for the Brewers, it’s safe to say that he will go down as a member of the Brew-Crew for eternity. With that said, I’d really like to know why Bob was in uniform with glove and ball in hand? I’d like to think that he took part in team exercises or threw BP during Spring Training however I’m pretty sure that’s not a Spring Training uniform? I suppose this could very well be from a celebrity or old timers game also? Kurt Suzuki of the A’s wearing his Oakland Oaks uniform. The A’s celebrate the old Pacific Coast League on July 8th with a turn back the clock game against the Mariners. The first 10,000 fans will get free Oakland Oaks caps. There’s not a chance in hell that I am missing this game. Game 6 of the 1995 ALCS. 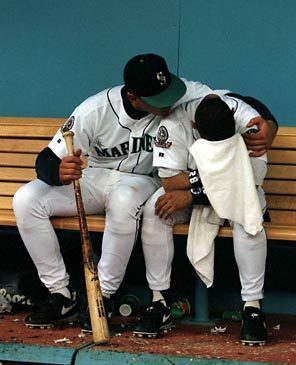 An upset Joey Cora is consoled by a young Alex Rodriguez after the Mariners were beat by the Indians. That ’95 Mariners team was so much fun to watch and Cora’s response to being knocked out of the playoffs was nothing but admirable. July 7th,1959. Stan Musial ends his at-bat with a pop-fly during the first All-Star game of the 1959 season. There were 2 All-Star games played that year, the other being played on August 3rd. For an explanation of why this happened, click HERE. 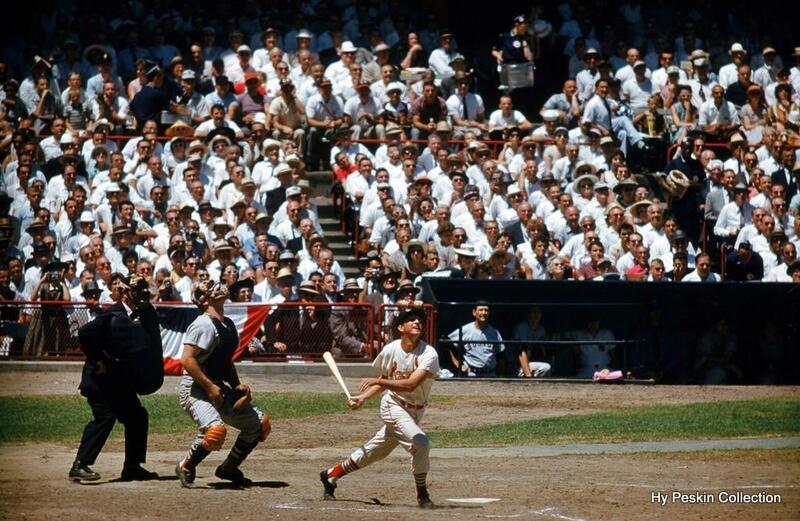 My favorite aspect of this photo is Ted Williams watching Musial’s at-bat from the AL dugout. Musial was Williams’ National League counterpart in many ways and the All-Star game every season was one of the only opportunities that the Splendid Splendor could watch Musial at work. Photo is courtesy of the Hy Peskin Collection. ~ by duaneharris19 on February 9, 2012.